Patient Care Technician Class (PCT) has begun! On Thursday, twenty-two GCD High School Seniors advanced into the Patient Care Technician (PCT) Class. The course is offered through a joint collaboration between GCD and Lehman College. 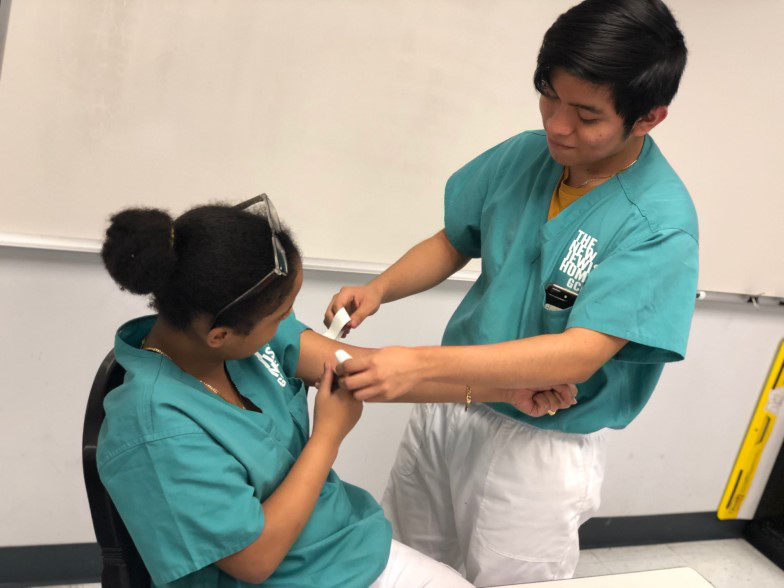 Upon completing the course, participants will be Certified Nursing Assistants & Patient Care Technicians with the ability to read EKG’s and practice phlebotomy (drawing blood). Two CHAH participants photographed above, Laurentino Perez and Scarlet Mercedes, are highly involved in the program. Well done, future CHAH PCTs!